We successfully concluded three real estate transactions with Shannon Bowdey as our agent. We would not hesitate to utilize her services in the future. She is highly competent, very diligent, and an absolute joy to work with. We highly recommend Shannon Bowdey to anyone in search of a high quality agent. We had an amazing experience working with Shannon! She helped us find a house from Boise. She helped FaceTime to view homes in the area. We ended up getting an amazing house in Los Osos! She was extremely helpful during the whole process. Not sure we could have found or closed such a great property with out here. I would highly recommend Shannon to anyone who is looking for a home. We could not have purchased our home without Shannon's knowledge, patience, sound advice and her ever positive attitude! It took us a year of looking and she would spend all day with us. She is awesome, and not just as a realtor, she is a remarkable woman that you will want as your best friend! Honestly! Shannon, was very responsive. She went above and beyond to help us with other stuff outside of purchasing our home. She was thoughtful of my time and my families. She is a very professional person. I would highly recommend her. I counted eight other Realtors who we have done business with and while they were all good,I think Shannon gave us the best service. We never questioned whether she was working on our property because she kept us appraised of showings and buyers responses as well as current market conditions. She followed through on everything and even kept us on task. Some Realtors seem to just wait for things to happen, Shannon doesn't wait, she is out there making it happen. "The whole team was very helpful and friendly. I personally made a new friend in Shannon, and she will always be a big part of our lives." "My wife and I did not know the area very well. Shannon took such great care of us and did everything under the sun to find our perfect house. She made the whole process easy and fun. We couldn't be happier with our new home." 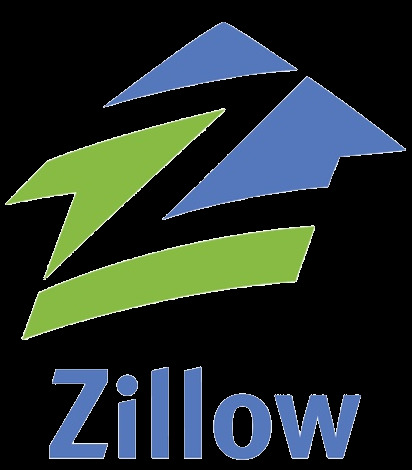 " My husband and I recently purchased a property in Arroyo Grande. Shannon Bowdey was our real estate agent in assisting us with this purchase. I want to take a minute to let you know how much we appreciate Ms Bowdey's knowledge, patience and professional manner throughout the entire process of this transaction, which was not easy at times. The fact that we kept going and eventually survived this transaction was in great part due to her and she should be commended for this. My husband and I feel that Ms Bowdey went above and beyond expectations in her efforts to guide the sale of this property as smoothly as possible in a difficult situation all the way through to the close of escrow. Even though this was a long - distance transaction, she was always in communication to keep us up to date and maintained a timely and professional relationship with the seller and his agent. This was very much appreciated on our part and we would highly recommend Ms.Bowdey to anyone buying or selling a home." Randie Stark, Grover Beach, Ca. The best realtor ever. Shannon helped us find our dream home. She stuck by our side for almost a year and a half. Always available so thoughtful . This was a tough search for us trying to look at open homes two hundred miles away from our home base. However due to Shannon's diligence we have the perfect home. Thank you Shannon and the Keller willams Pismo team.